Growing up a passionate sailor, Eamonn chose an early career path as a Royal Naval Officer pilot, studying at Britannia Royal Naval College. Following a colorful but undistinguished Naval career, he found himself in London in the late 80’s immersed in the early evolution of media strategy and management, a career that continues to fascinate him today. Throughout the last 29 years, Eamonn has worked for a combination of global media networks and digital start-ups, widely respected for his ability to simplify the complex with an infectious ability to bring teams along with him on those missions that capture his imagination. As a committed internationalist with a strong passion for exploring different geographies and cultures, Eamonn has travelled over 80 countries through his professional career. 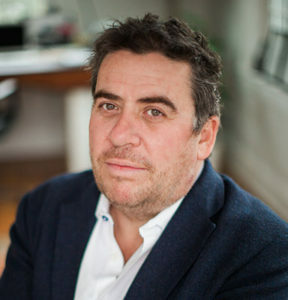 In 2014, Eamonn finally left his MEC family of 10 years to lead The Guardian as CEO, North America. During his almost three year tenure, the Guardian tripled its audience and commercial revenues in North America. More importantly, he crafted an editorial led business strategy, focused on attracting client partners who’s values and practices married with those editorial values of this fiercely independent 200 year old news brand. It was during his tenure at the Guardian that Eamonn drew inspiration from his many connections with individuals and NGOs passionately working for greater good. This inspiration led him to depart the Guardian in January 2017 to build a practice to help better connect leaders of progressive business with those who do good for the world. This practice is called FairShare. It’s as much a passion as a practice. Rachel is a true native New Yorker, born and raised in Brooklyn. 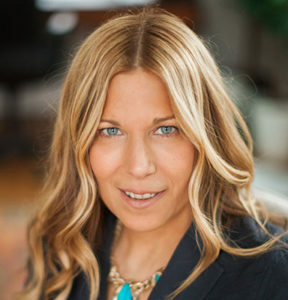 After college in upstate New York, she got a job at an ad agency in NYC, fell in love with the media business, and spent the next 20 years working with some of the biggest and best global brands in the world. Fifteen of those years, she spent at MEC, where she met and worked with Eamonn. After 20 years, Rachel was looking for something different, with greater purpose. While at a retreat in the Sonoran Desert, Rachel heard a voice telling her that “change happens when the discomfort of the familiar outweighs the fear of the unknown.” Upon her return, Rachel resigned from her role as a WPP client lead and joined Eamonn at the Guardian US to lead Guardian Labs, the Guardian’s in-house content and innovation studio. At the Guardian, Rachel led a team of creatives, journalists, strategists, designers, producers, and project managers to create award winning work for clients, without any compromise to the values of the Guardian. Rachel left the Guardian in October 2016 to lay the groundwork for a crazy idea that would turn into FairShare. Outside of work, Rachel splits her time between lower Manhattan and the Hudson Valley, with her pack of animals. After gaining a law degree, Lucy made the less than obvious choice to move into advertising and began her career as a junior account exec at DMB&B Financial London. She moved on to a marketing role for e-bookers, where she led the European brand and product marketing for 2 years and was eventually persuaded to join the media agency Carat in 2000, managing a number of high profile international accounts including BMG and SCA. It was working at Carat that Lucy met her husband, Eamonn. In 2007, Lucy and Eamonn moved from the UK to the US, where Lucy focused her attention on raising three kids and various dogs while her husband travelled internationally with WPP, working those 15 hour days people in advertising seem to deem necessary. She also worked with Literacy Volunteers teaching English as a second language in the local community. More recently Lucy married her dedication to education and family, and began a part time career in pre-school education but has this year taken the leap to join the company she co-founded and she couldn’t be happier!